How much is Nepal trek price and what are the best trek destination for 2019? Nepal trek price depends upon the trek route you are hiking. We at Gokyo Treks & Expedition agency charge at USD 70 per day per person roughly for a lodge base trek in Nepal Himalayas. Likewise, USD 125 per day per person will be for normal areas tented camping trek in Nepal. This price includes guide service, porter, accommodation & unlimited meal plan. Furthermore, TIMS permit cost USD 12 and transportation for the trek (exclude flights such as Kathmandu to Pokhara). Price for a trek in Nepal is depended on what trek routes you are choosing and your requirement. In General Annapurna, Trekking and Langtang Trek are slightly cheaper than Everest Trek because of the short channel of transportation. While trekking in the Everest Region mostly has to fly Kathmandu-Lukla-Kathmandu. Only for domestic flight costs is USD 180 for each foreigner for 35 minutes each way flight. Dolpo is a remote trek of its less flights. The rest of the things depends on your requirement but usually if you want to take the well-organized trip than we recommend you to prepare roughly for 80 USD just for lodge trek either in Annapurna or in Langtang / Manaslu / Everest. Furthermore, if you have any questions for a special deal or travel itinerary, do feel free to send an email. 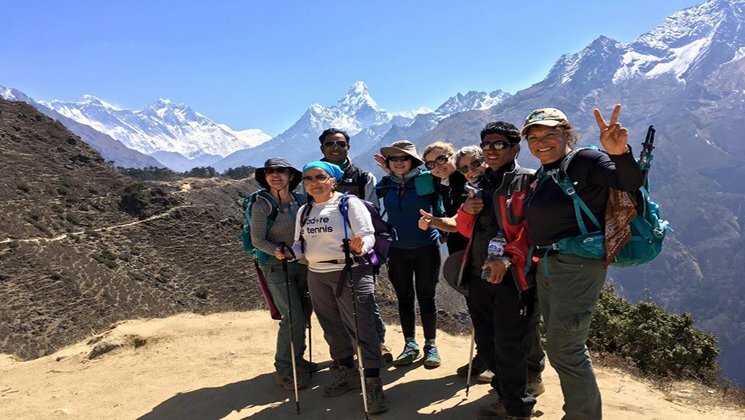 Besides that, there are more trek routes such as Annapurna base camp trekking, Kaligandaki valley trek, Muktinath trek, Muktinath tour, Nar Phu village trek, lower Mustang trek, Annapurna circuit trek ….etc are most demanding in terms of visitors. Nepal trek cost depends upon the month and the group size you are coming with. Nepal trek difficulty also depends upon the time you are exploring. Autumn and spring are the best time to visit. Check out trek map and find hiking route updates. There are some questions like which is the best month to travel for Nepal trek?. Which is the best month to travel to have the best weather?. How difficult is it to trek?. What is the best time of year to hike in the Himalayas?. The best time to visit Annapurna trek is either on Spring (March to May) or Autumn (October to December) in this time weather is very clear. So you can see the pristine Himalayas and beautiful landscapes. Take a review about Annapurna Trek in Tripadvisor.